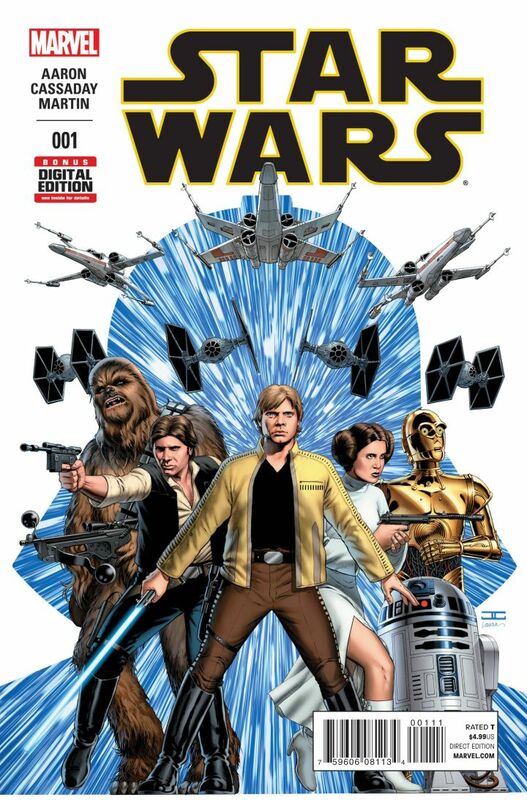 I’ll admit, when Disney bought Lucasfilm, and we all saw the writing on the wall that Marvel would eventually publish Star Wars, I was hesitant. I’ve been a lover of the Dark Horse Star Wars comics for years. Sure they had their ups and downs, but what comic book hasn’t? But even my love for Dark Horse was over taken by my love of Star Wars, and I paid my $4.99 to see what Marvel had to offer. Jason Aaron pens a first issue that builds as the pages turn. It doesn’t start with a big space battle or big dramatic event. Nope, we start with tad bit of espionage. 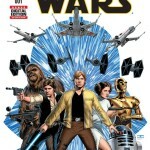 Han, Luke, and Leia infiltrate a weapons facility when, as usual, things go horribly wrong. Aaron does well in capturing the voice of the characters and making readers really feel like they are in a galaxy far far away. The core of the main characters are brought out by Aaron and the rest of the creative team. I’m interested to see how this creative team develops our heroes over time. Considering the time the book takes place (between A New Hope and Empire Strikes Back), we all know where the characters are headed. Jason Aaron has his work cut out for him to keep fresh and interesting as the story develops to the end we are all well aware of. Cassaday does well working with the likenesses of the three galactic heroes, but does have a few struggles with some shots. It’s not a deal breaker, but does take the reader out of moment. His biggest test is yet to come, Darth Vader. It is my belief that Vader has to be the most difficult character to draw in comics. His face is totally static, but it’s still the artist job to convey emotions through art. And when you have a character so filled with exploding emotion, but has no facial expressions……well, good luck. Cassaday, and in no small part colorist Laura Martian, have their work cut out for them. So there is good writing and good art, so why the feeling of emptiness? Because I feel like I’ve paid for this comic once before, when Brian Wood had his Star Wars #1 with Dark Horse. I guess I was expecting Marvel to be different. Or more along the lines, I wanted Marvel to be different. I wanted to know that I wasn’t paying out more money for the same story. Bottom Line: Hollywood is full of repetitive reboots, I don’t think we need it in comic books too.